Formic acid is an important chemical raw material for a wide range of uses. 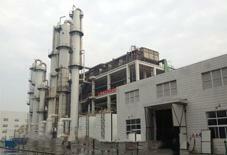 After the successful development and construction of methanol carbonylation of methyl formate 30,000 tons / year industrial plant, the company successfully developed methanol carbonylation of methyl formate , With a short process, easy to obtain raw materials, investment in the province, no waste emissions, the advantages of low production costs. CO and methanol mixed with the catalyst after a certain pressure and temperature of the carbonylation reaction to form methyl formate, with methanol to absorb the tail gas entrainment of methyl formate, methanol, condensate back to the reactor. 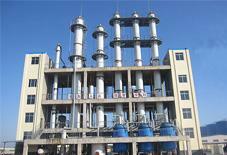 The crude product containing methyl formate is rectified in a pressurized distillation column, and the methyl formate product is withdrawn at the top of the column. The extracted product is filtered and removed to remove the spent catalyst and recycled to the reactor. Formic acid methyl ester mixed with water after preheating by the reactor into the formic acid hydrolysis reactor for hydrolysis reaction, the reaction of formic acid and methanol. The reaction solution is distilled, separated and distilled to produce the product formic acid; the unreacted methyl formate and the by-product methanol are recycled and recycled. 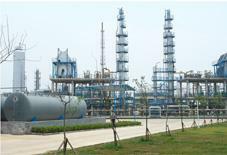 The technology transfer, engineering design, part hardware or engineering general contracting of methanol carbonylation of methanol carbonylation with a different scale from 5 ~ 100kt/a can be provided. Do You Know The Production Process Of Ethyl Acetate?